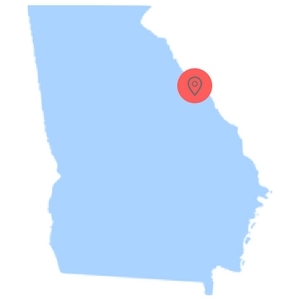 A simple phone call to the Emergency Dentists USA hotline will connect you to an operator who can help you make the right choice when it comes to selecting an Augusta, GA emergency dentist. Whether you have a knocked out tooth or a painful abscess, Emergency Dentists USA connects you to the best dental service to meet your needs without you having to search. Great website to have bookmarked for when you are facing a dental emergency. I called their number and was connected to Varnell Gaines DMD who was able to see me the next day. 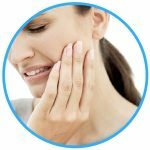 There are several options available when it comes to finding the right emergency dentist in Augusta, Georgia when you have a painful abscess or a broken tooth. After hour dentists are emergency dentists that offer later hours to better provide you the service you require when you require it. Varnell Gaines DMD PC is a family friendly dentist with a goal to help you achieve the best oral health available. His office hours vary. Monday they are open until 5 pm, Tuesday until 6 pm, and Thursday through Saturday they are open until 2 pm. Aspen Dental also offers walkins and same day appointments. Augusta University Dental Associates has much to offer when it comes to dental emergencies. Their office is available Monday through Friday 7:30 am through 5:30 pm. Emergency Dentists USA has a list of after hour emergency dental clinics in the Augusta, Georgia area. On our site, you can find the right dentist for your dental emergency and set up an appointment that fits with your schedule. Each of the dental offices listed below offers services such as x-rays, fillings, and other standard dental services. They have appointments that are easy to schedule with the help of our friendly staff members. Description Call to be connected with the perfect dentist for you. Augusta is a large city and we have the connections to find a dentist to fit your needs, and can get you an appointment immediately. We have connections to the best 24 hour dentists in Augusta and will help you find what you need quickly and simply. You can get emergency dental help in Georgia fast. Description: Varnell Gaines DMD PC has been in operation for over 28 years. His goal is for you to be able to have the most beautiful smile, the best oral health, and the most favorable dental experience possible. The office is family-friendly and would love to meet you and offer you help during any dental emergency you might have. Description: Whether you’re a current or new patient, Aspen Dental is here to help. When you need emergency dental services in Augusta, GA , they will provide the earliest available appointment to deliver the care you need. Typically they can accommodate emergency dentist appointments for walk-ins or offer a same-day appointment. Description: This practice is quick to note that if you have any type of pressing oral emergency then you can call them up immediately and they will set you up with an appointment. They pride themselves in bringing a “healthy smile” to every patient that walks through their doors. They do this of course by using the most up to date technology that the field of dentistry has to offer. Description: Augusta University Dental Associates has a complete scope of dental services for adults and children. The staff is there to deliver a personalized dental appointment and help make your visit pleasant. The office accepts most insurance plans, credit cards, as well as cash and some checks. Each of the emergency dental clinics offer a variety of services from x-rays to abscess treatments. Bring your dental insurance card and identification with you to your Augusta emergency dental visit and also gather your records and dental x-rays to your scheduled appointment. It is good to arrive early to your appointment as this gives you time to fill out any necessary paperwork. This also gives you time to ask any questions you might have about your upcoming procedure. Ask the dental office about what they accept as payment for the treatment they are providing. You will want to be certain you have the necessary payment. Ask your Augusta emergency dentist if they accept your dental insurance. Most plans require you to visit an in-network dentist. If you have any allergies, let the dentist know. Bring with you a list of all your current medications and supplements. We at Emergency Dentists USA have prepared a comprehensive listing of emergency dental clinics in the Augusta, GA area. We have the right dentist here for your dental emergency, no matter what that emergency might be. Listed below are some of the emergencies that you might be experiencing and information how the dentist may treat each of them. 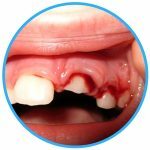 An abscess can be an extremely serious condition that requires immediate treatment at your Augusta emergency dental clinic. If you should find a pimple like bump on your gum near a tooth, chances are that it is an abscess. 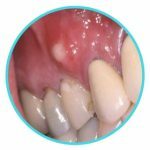 Abscesses are generally quite painful and they are something that needs to be treated quickly as they can lead to serious further damage to your mouth. While you wait for your dental appointment, you can help ease the pain by rinsing your mouth with a mild salt water solution several times a day. Use about 1/2 teaspoon of table salt in an 8-ounce glass of water. If you have a bad toothache, first try thoroughly rinsing your mouth with warm water. Use a piece of dental floss to dislodge any food that may be caught between your teeth. Place a cold compress on the outside of your mouth to help with swelling and pain. Do not use aspirin or other painkillers on the gums as this can cause damage to the gum tissue. Call your Augusta emergency dentist right away to get an appointment to have your toothache treated promptly. A knocked out tooth is an extremely stressful situation that has to be handled in a speedy manner in order to save the tooth. Quickly retrieve the tooth, holding it by the crown and rinse off any dirt. Do not scrub it or remove any tissue. Try to place the tooth back into place facing the proper direction. Do not force it into place. If it can not go back in place, put it in a small container of milk. Call an emergency dentist as soon as possible to secure an appointment, as you have the highest chance of saving the tooth if it is replaced within an hour of it being removed. There are times that an emergency tooth extraction is unavoidable. While a dentist will do everything they can to save a tooth, on occasion the tooth must be removed due to infection, damage, or some type of trauma. The dentist will begin by doing an x-ray of the tooth to determine the best course of action. They will then give you an anesthetic to numb your mouth. When the area is completely numb, the dentist will remove the tooth using the proper tools. A gauze pack is placed on the extraction site to limit bleeding and help a blood clot to form. The pack should be left in place for at least 30 minutes, being careful to not chew on the pack. For the next 24 hours, you should not drink through a straw, smoke, drink alcohol, or engage in strenuous activity to prevent bleeding. Take any prescribed medication as directed and be careful with cleaning your mouth so as to not dislodge the clot. If you notice a large amount of pain and swelling, you can apply an ice pack to the outside of the area and c0ontact your Augusta emergency dentist if you are concerned about the swelling, bleeding, or pain. A dental emergency should be treated in a timely manner by a qualified Augusta emergency dentist. They are there to help with most all dental emergencies like lost fillings, toothaches, and broken crowns. They are the best choice when it comes to treating any dental emergency. There are times though that you should first go to the emergency room. If you have a true dental emergency caused by a car accident, a sports injury, or other trauma that could have damaged another part of your body, you need to have that checked in the emergency room. The emergency room physician is there to provide treatment such as x-rays, painkillers, and antibiotics. An emergency room is not able to treat most teeth issues though, so they will usually refer you back to an Augusta dentist for treatment. Always check with the local dental society to ensure that the dentist that you choose is certified and licensed in Augusta as this is an extremely important part of the process. You can use the American Dental Association website to check licensing information. You can also search for certification and licensing on the Georgia Dental Association website. Both websites offer plenty of information regarding Augusta emergency dental clinics and are designed to help you make an educated decision. If you are having a dental emergency and are unable to reach an Augusta emergency dentist, you must call 911 or go to the nearest hospital emergency room for medical treatment.